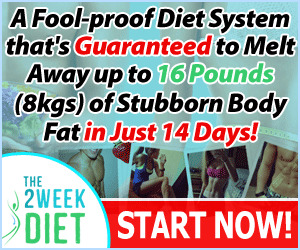 - This dip is very low in fat. If you wanted it to have a richer mouth feel, add more nayonaise. Cut dipping vegetables into dipping-size pieces. 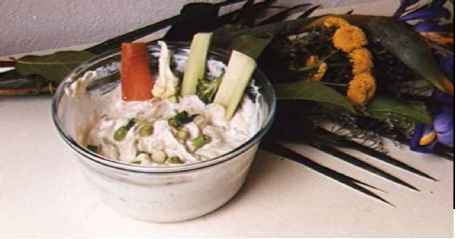 Serve vegetables with dip. Note: If you wanted the lower the fat of your hummus, for every 3 cups of cooked garbanzo beans, you could lower the tahini to 3 tablespoons and bring the calories from fat to about 29%. Soak chili peppers and figs in some warm water until softened. Add all ingredients to a food processor (or blender) and blend until smooth. Use the pepper soaking water (or water) to change consistency if desired. Note that the dip does become quite a bit thicker when refrigerated. Serve immediately, or refrigerate and serve, or to integrate flavors completely, pour mixture into a earthenware casserole dish (with cover), and bake at 25o degrees F (i2o degrees C) for i to 2 hours, then refrigerate and serve. - Use any type of nut or seed (either ground or in a butter form) in place of the ground pecans. - Use any type of chili peppers: either dried, roasted, or fresh. - Use roasted red bell peppers (with skin removed) in place of chili peppers for a less spicy dip. 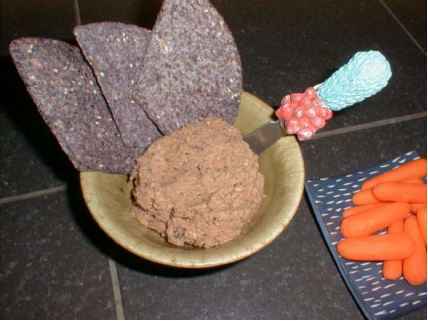 Serving ideas: Serve with "Cilantro Sauce" (see recipe) for dipping. 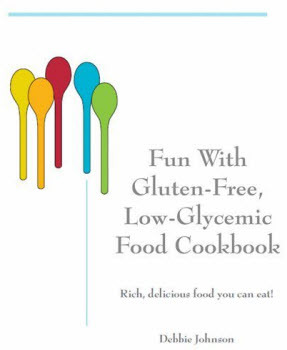 - The serving size shown applies when this dish is being served as an appetizer. if this is served as a greater part of a meal, it may not make as many servings. Be sure to wash quinoa well. Place quinoa in sauce pan with broth, garlic, sea salt, and cayenne. Cover and bring to a boil. Once boiling, simmer for 15 to 2o minutes. To the quinoa, stir in ground flax seed, salt, corn, cooked black beans, green onions, and ground pumpkin seeds (if using). Put parchment paper down on a baking sheet (if you don't have parchment paper, you can oil your baking sheet). Croquettes can even stick a little to a non-stick baking sheet which messes up the croquettes, so I greatly prefer parchment paper because it always makes for very easy removal. Let quinoa mixture cool just enough so the mixture can be handled without burning your hands (this should happen quickly since the frozen corn will lower the temperature). Using your hands, take about 2 tablespoons of mixture, shape it into a log shaped piece, and place it on a the baking sheet. if the mixture seems a little dry or crumbly, and it is difficult to form the croquettes, add some water until it gets a little mushy so that the croquettes can be easily formed, and so they stay together. if the mixture seems a little too wet, add some brown rice flour. Repeat making croquettes using all mixture. You should end up with about 28 small croquettes. if desired, spray a little oil on each croquette (this will make them brown nicely and give them a lightly crisp crust). Bake in a 4oo degree F (2oo degree C) oven (no need to preheat oven) for 35 minutes, or until they are light golden brown and have crispy edges. 1 Serving = 2 croquettes. - Add more cayenne for a spicier croquette. - Add finely chopped, pan sauted, and seasoned tempeh instead of black beans. Take the stems out of the portobella mushrooms. Brush dirt from mushroom caps. 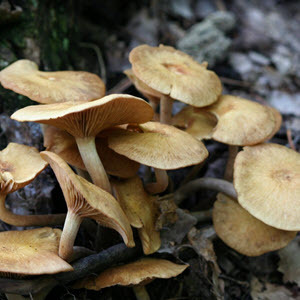 Gently wash the caps, but minimize the amount of time the mushroom is in contact with water, and use as little water as possible. Wash stems. Slice the caps into 1/2-inch pieces and chop the stem. Toss cap pieces and chopped stems with olive oil and then with the 1 teaspoon of salt. Place mushrooms on baking sheet (it should not need to be oiled since the mushrooms are oiled). Roast in a 45o degree F (23o degree C) oven (no need to preheat oven) for about 25 minutes, or until the are well done, but not completely dried out. Heat an uncovered pressure cooker over medium-high heat and add oil. Saute onion until it starts to brown just slightly. Add the washed mung beans and water. Seal cover on pressure cooker and bring up to pressure. Begin timing at this point and adjust heat to maintain pressure (use a flame tamer so beans does burn to the bottom of the cooker). Cook for 2o minutes. Grind walnuts in a food processor. Add mushrooms and beans and remaining ingredients to the walnuts in the food processor and blend until smooth. Use a little broth (or water) to change consistency if desired. 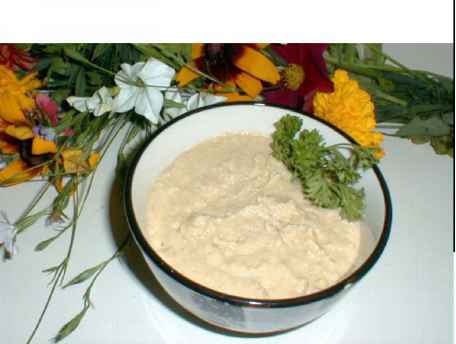 It is a fairly thick pate, and will become a bit thicker when refrigerated. Serve immediately, or refrigerate and serve, or to integrate flavors completely, pour mixture into a earthenware casserole dish (with cover), and bake at 2so degrees F (i2o degrees C) for 1 to 2 hours, then refrigerate and serve. 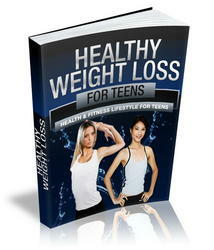 - Use shiitake mushrooms instead of portabella mushrooms. - Use other types of beans. - Use any type of nut or seed (either ground or in a butter form) in place of the ground walnuts. - Toast the walnuts before grinding for a different flavor. 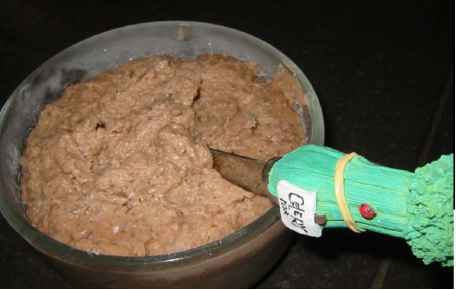 - Add roasted garlic gloves to the pate mixture. - Use 14 ounces of canned black olives in place of the mushrooms. 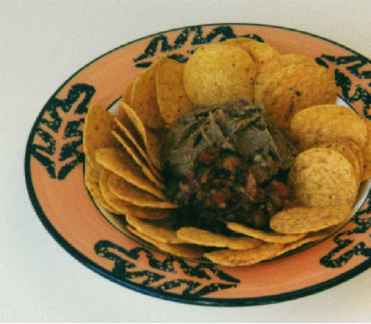 - Even with the use of almonds, this dip is still low in fat because black beans are fairly low in fat (as opposed to garbanzo beans) (although not quite as low in fat as red beans such as adzuki). Add all ingredients to a food processor (or blender) and blend until smooth. Use the bean cooking liquid (or broth) to change consistency if desired. Note that the dip does become quite a bit thicker when refrigerated. - Use any type of nut or seed (either ground or in a butter form) in place of the ground almonds. - Toast the almonds before grinding for a different flavor. 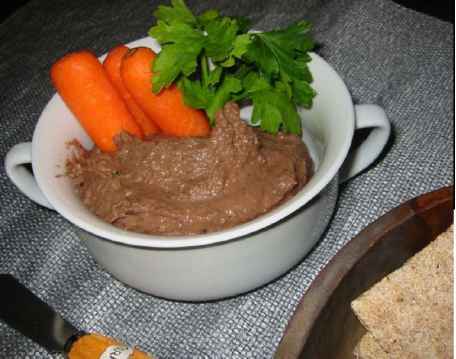 - Add roasted red bell peppers to the dip. In a bowl, soak dried mushrooms in water until mushrooms are soft. Heat a skillet over medium-high heat and add oil. Saute fresh chopped mushrooms for about 2o minutes until all the moisture evaporates. Add onions, and continue to cook until onions are soft. To a food processor (or blender), add drained, soaked mushroom, cooked mushrooms and onion, and all remaining ingredients, and blend until smooth. Add water or broth to change the consistency of the dip if desired. Note that the dip does become quite a bit thicker when refrigerated. Serve immediately, or refrigerate and serve, or to integrate flavors completely, pour mixture into a earthenware casserole dish (with cover), and bake at 2so degrees F (12o degrees C) for 1 to 2 hours, then refrigerate and serve. - Use any type of nut or seed (either ground or in a butter form) in place of the pecans. 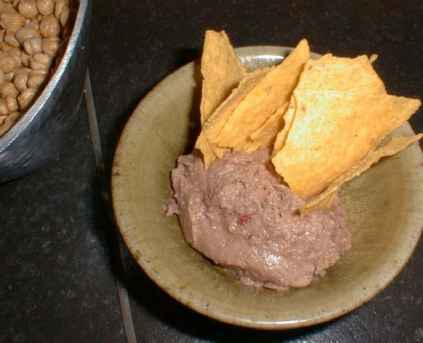 - Even with the use of ground pumpkin seeds, this dip is still low in fat because black beans are fairly low in fat (as opposed to garbanzo beans) (although not quite as low in fat as red beans such as adzuki). Soak chili peppers and prunes in some warm water until softened. Serve immediately, or refrigerate and serve, or to integrate flavors completely, pour mixture into a earthenware casserole dish (with cover), and bake at 250 degrees F (120 degrees C) for 1 to 2 hours, then refrigerate and serve. - Use any type of nut or seed (either ground or in a butter form) in place of the ground pumpkin seeds. - Toast the pumpkin seeds before grinding for a different flavor.